Sonoma County's libraries will remain closed on Mondays and evenings for the third year in a row. Why hasn't anybody stepped up to restore hours? Dr. Carmen Finley, a retired research scientist and genealogist, still remembers the "Juvenile Hall" of the Santa Rosa public library. During the 1930s, her mother worked at a shop near the library, dropping her off every day before work. "I have such fond memories," Finley says, recalling that the children's librarian "taught me how to write my name before I entered school so that I could get a library card." Even though the United States was in the midst of the Great Depression, Finley recalls, Santa Rosa kept its libraries open on Mondays—and it did so for 80 more years. But since Aug. 1, 2011, Sonoma County's 200,000 library cardholders have been deprived of the use of 11 local libraries on Mondays and evenings. A 25 percent cutback in hours, first instituted to save just $310,000, has left long lines at libraries—where programs, computer use and circulation has steadily risen in Sonoma County for the past decade. Children, parents, seniors and those too poor to afford computers have been hit hardest by this failure to keep the doors open on Mondays for the first time in the public library's 108-year history. And the end of the county's library funding crisis is nowhere in sight. Last week, the Sonoma County Board of Supervisors voted to approve a robust $1.3 billion budget in record time. 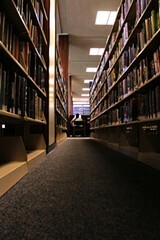 The county's probation department, with a budget four times as large as the library's, received a $2.7 million boost. Despite a continual drop in violent crime, the sheriff's department's increase was $9 million, including a last-minute addition from the county's contingency fund of $240,000 to retain a federal marijuana-eradication officer. Estimates of how much it would cost to restore library hours range wildly, from about $500,000 to reopen with extra staff to an unspecified number in excess of $2 million—a figure the library's director Sandra Cooper insists it would take to "adequately" fund those days and restore staffing levels during other hours. 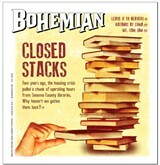 Yet appeals to county supervisors to direct emergency funding for restoring library hours have fallen upon deaf ears. As a result, for at least one more year, and possibly far longer, Sonoma County libraries will remain closed on Mondays and evenings. 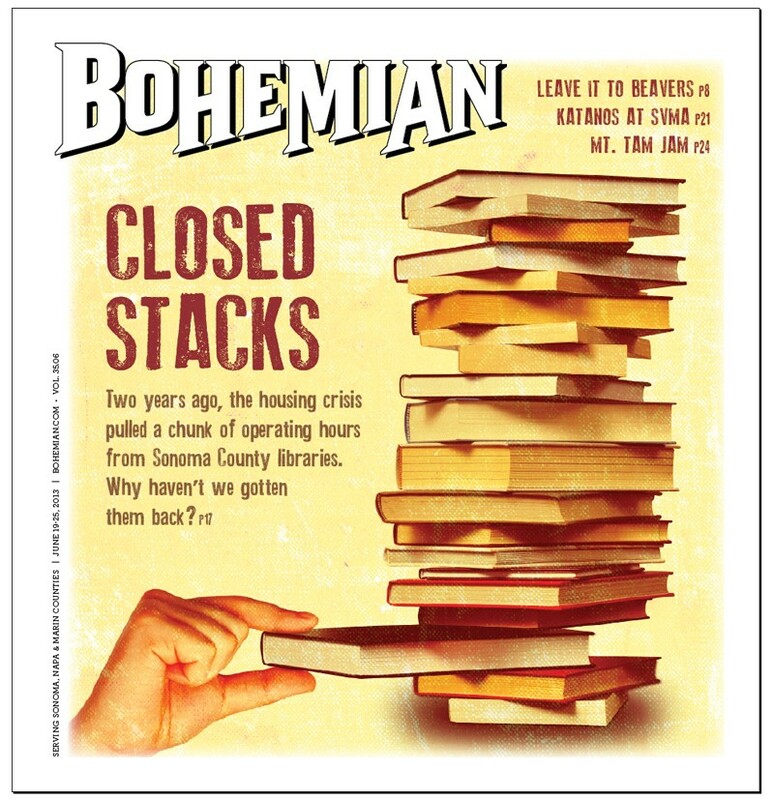 The story of how Sonoma County, the 12th wealthiest of California's 58 counties, cannot remedy an unprecedented cutback in library hours offers a timely lesson about much of what is wrong with modern government. As per a 1975 joint powers agreement (JPA) between the county and its major cities, Sonoma County libraries are funded by a dedicated fraction of a percent of property taxes. The JPA agreement establishes an independent county library agency; seven unpaid library commissioners have the power to manage the budget, draw from reserves accumulated during flush years and, at least on paper, oversee the library director. The existing JPA also assures that the library will provide the same baseline of services, including hours, as existed in 1975, when the main libraries consolidated into the agreement stayed open at least 52 hours a week. The JPA provides the county with the authority to "annually levy" taxes to sustain the libraries, the ability to augment library budgets, and nominal oversight to make sure funds do not disappear. DOG-EARED Emergency funding has been found for roads, law enforcement and local power, but has been flatly refused for the library. In 1975, nobody foresaw Proposition 13 limiting property tax increases, or the multibillion-dollar drop in assessments that hit Sonoma County between 2007 and 2010. In April 2010, after receiving notice that its annual budget would fall from about $16.5 million to $15.9 million, the library revealed its plan to decrease hours to make up the shortfall. Public reaction was immediate. Within weeks, Sebastopol mayor Guy Wilson wrote to library director Sandra Cooper, urging the commission to not cut hours, but that if it did, to allow the local Friends of the Library group to raise dedicated funds for keeping the local branch open. Meanwhile, Dena Bliss and a small group of supporters formed Save Our Libraries Sonoma County (SOCOSOL) and began circulating a petition urging the commission to retain library hours. Thousands signed it. They were ignored. The commission decided not to tap any of the $2 million in the "rainy day" fund or delay the hundreds of thousands being spent on new self-serve checkout terminals, and instead cut hours. The closures, which began Aug. 1, 2011, resulted in a savings of $310,000 per year in part-time salaries, as well as about $100,000 a year from reduced janitorial and energy usage. "Being forced to reduce hours is a symptom of a much bigger problem," explains Cooper. That problem, Cooper argues, becomes evident when Sonoma County's library operating income per capita of $28.91 (for fiscal year 2010–2011) is compared with operating income per capita for Alameda, Marin, Napa, San Mateo, Santa Clara, Solano and San Mateo counties. They average well over $50 in spending per capita, with a minimum of $42. Their staffing levels are at least 50 percent higher. In Marin and Napa counties, libraries enjoy more than double the staffing rate per resident as Sonoma County.